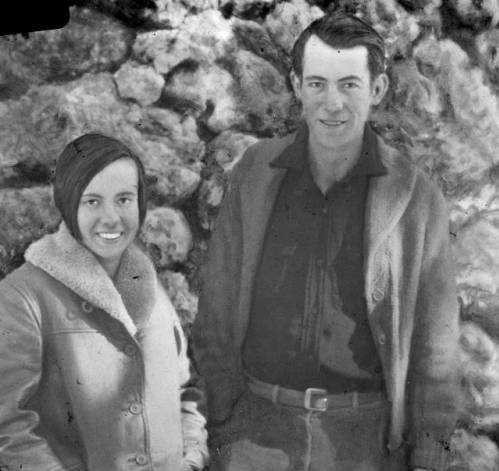 Glen and Bessie Hyde are canyon legends. Their disappearance remains unsolved. The two were newlyweds who had planned on running the rapids of the Colorado for their honeymoon in 1928 (Glen especially favored this plan for the publicity). 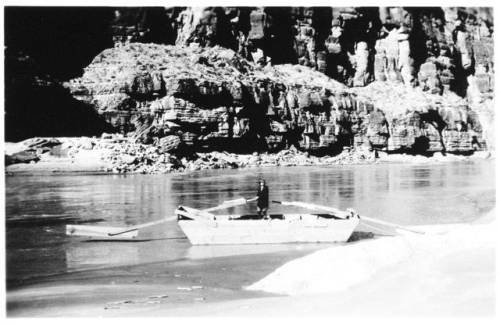 Glen wished to set a speed record in the boat he built himself and also get Bessie down as the first woman to run the river. They were last seen at Hermit Rapid. Emery Kolb had taken their picture a few days earlier when they were at the rim to restock supplies. The Kolb brothers later helped with search efforts. The Hydes’ boat was found upright with all supplies intact, including Bessie’s diary. According to her diary they had made it as far as Diamond Creek. Speculation continues and multiple theories have been tried. Many believe Bessie Hyde killed her abusive husband in the canyon and hiked out to escape and start a new life. A woman on a river trip in the 70s claimed to be Bessie Hyde, though she later took it back. Bones were found in the Kolb’s boat house, though after extensive testing were proven to not be Glen Hyde’s. Some have even speculated that Georgie Clark was in fact Bessie Hyde. A pistol and the Hyde’s marriage license were found in her lingerie drawer at the time of her death. Various historians have criticized this theory especially since there was significant documentation of Clark’s early life. Hyde Camera Photo: Bessie Hyde in Boat below Tuckup Canyon.